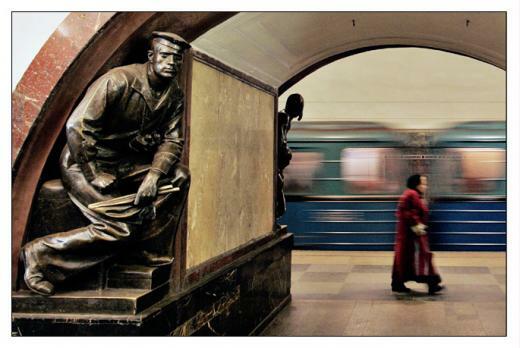 In the 1930’s, the workers of the underground, headed by brigades of writers, are in charge to write in real time "the history of the Moscow Metro". A coproduction .Mille et Une. Films, Arte France & Ethnogeographic Research Foundation. With the participation of the channels Histoire and SVT. With the support from the CNC, the region Brittany, the Procirep - Société des Producteurs and the Angoa. International sales : Arte Distribution.